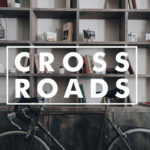 Crossroads is a place where single adults can develop solid relationships and discover a sense of purpose as they grow, serve, and enjoy time with friends. It’s a mix of single, divorced, and widowed adults. We meet regularly for a time of worship, Bible study, and community. Plus, we have several fun events planned throughout the year. To learn more about our group, signup for our weekly newsletter or email us at crossroads@oakpointe.org.